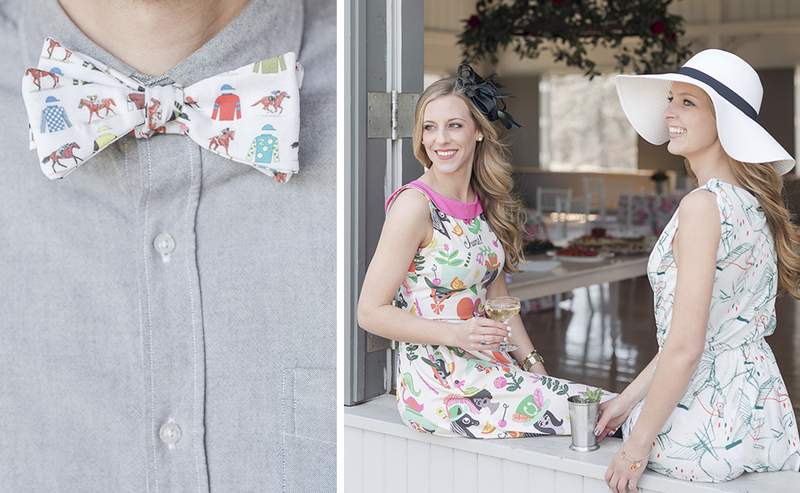 Earlier this year we partnered with the party planning experts at Black Twine during the Off to the Horse Races design challenge to help us find the perfect patterns for a derby inspired party styled by Cherry Blossom Events. After seeing Cherry Blossom’s Earth Day celebration, we knew they’d make the winning designs come to life. 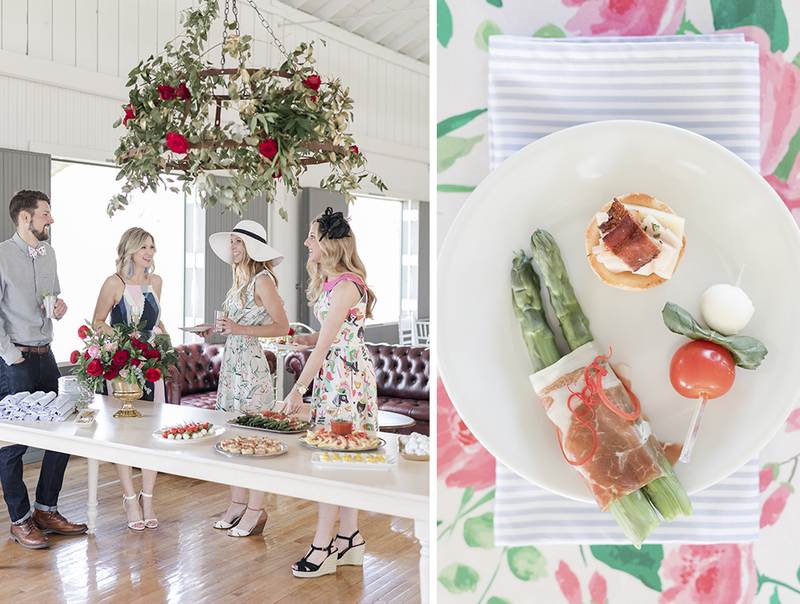 See the complete party blueprint here (you’ll find everything you need to recreate the look) and be sure to review our five tips below before you start planning your next celebration. 1. Let your tables do the talking. 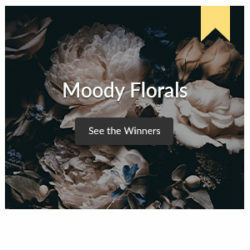 Off to the Horse Races design challenge winner, Run for the Roses by sarah_treu, takes center stage! 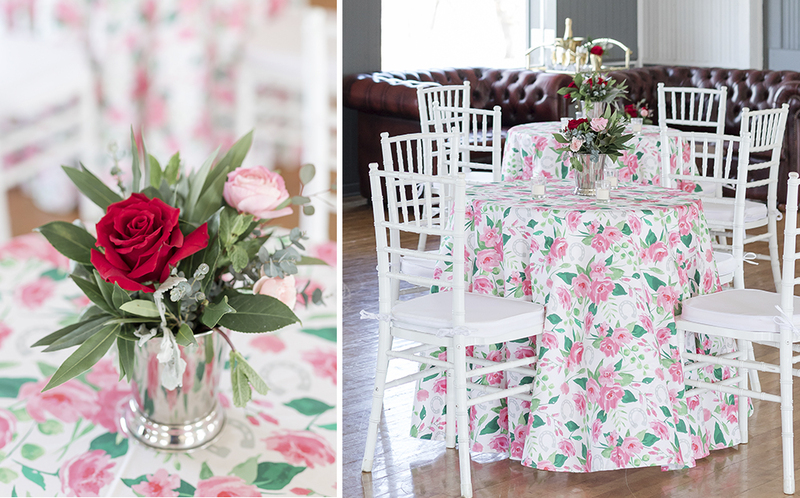 When your guests walk into the party, set the scene with bold linens and fresh centerpieces. Tie-in elements most commonly seen on race day like roses, horses and jockeys, or go with a more classic repeating pattern for your linens like seersucker. 2. Serve up a classic cocktail or mocktail to fit the theme. A derby themed party wouldn’t be complete without a mint julep to wet your guests’ whistles. 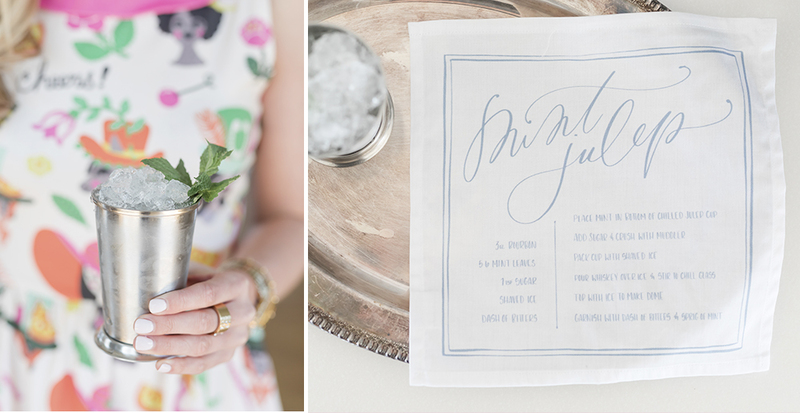 After the celebration is over, send them home with a recipe cocktail napkin that doubles as a souvenir. 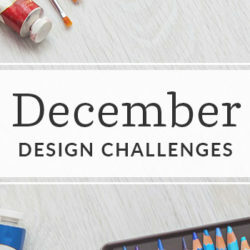 To recreate the project, simply upload your 12 x 12” recipe design to Spoonflower and order as a set of Frizzle cocktail napkins on Roostery. Include the date of your celebration for a personal touch. 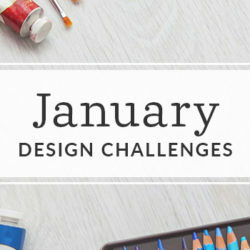 Design tip: Keep any design elements in the center 10 x 10” of your design canvas. 3. Dress to impress, but remember to keep it comfy. If you’re spending an afternoon at the tracks, you’ll be sure to see big hats, bold colors and of course, the appearance of bow ties. Knit fabrics like Modern Jersey or Cotton Spandex Jersey are the key to a dress that’s both classic and comfy, and we suggest the Moneta or Myrtle dress from Sprout Patterns in a derby inspired design. Create your own look for the event or have it sewn for you using Sprout Pattern’s white glove service. 4. Fill the table with finger food. As much as we love a 10-course meal, leave the countless hours of prep-work to the pros and think simple yet sophisticated. Light finger food including shrimp cocktail, Caprese Salad (on a stick!) and deviled eggs will leave your guests’ tastebuds satisfied. Bonus: these types of dishes are easy to prep ahead, which means more time for you to enjoy the party you worked so hard to put together. 5. 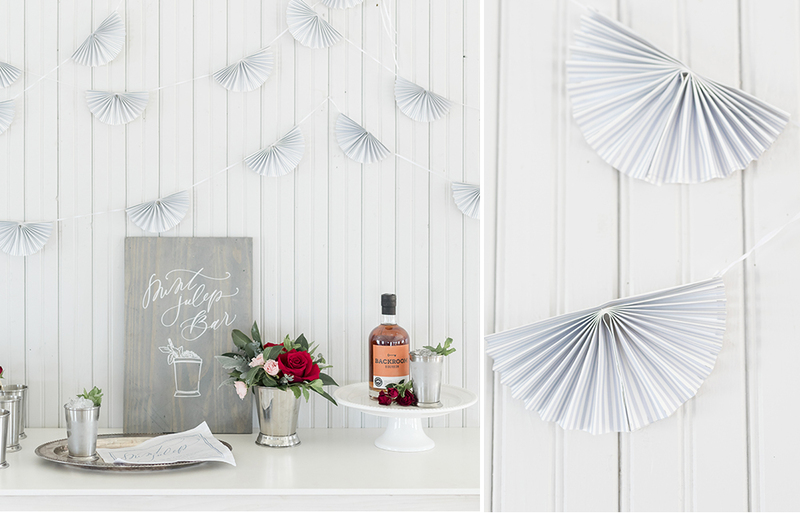 Create a festive setting with handmade party décor. Whoever said gift wrap was meant just for your presents didn’t know about the art of crafting the perfect party. Using just a roll of wrapping paper and white ribbon, you can create 20 half circle pennants for bunting to dress up your space. It’s the perfect DIY on a dime project. Did we mention there’s no sewing required? Find the full instructions here. Inspired to throw your next party? 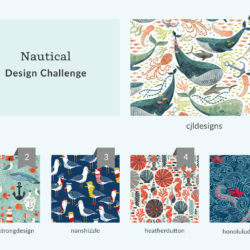 Be sure to tag your party pics with #spoonflower so we can see how you’ve styled your event.